This book is a novel that can appeal to both children as well as adults. It is an enchanting fantasy that can capture the imaginations of children everywhere while at the same time providing an adult satire of the political time that swift wrote the novel in. This timeless book follows our main character, Lemuel Gulliver while he goes on several adventures. Lemuel’s first adventure is when he finds himself entering a fascinating world of little people as a giant. As his adventures continue Lemuel sees the tables turn when his travels lead him to a world of giants twelve times his size. Next he finds himself in the clouds, in a society of scholars. Lastly, his journey brings him to an island where mans role is turned upside down and civilized and noble horses must deal with a race of human like creatures: the Yahoos. 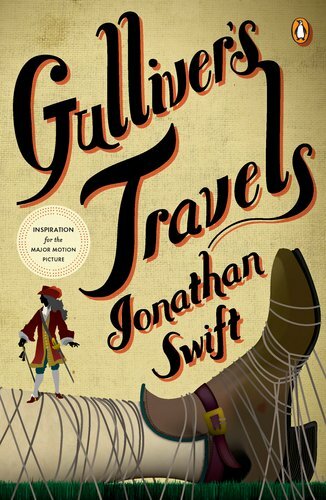 ‘Gulliver’s Travels’ is rich with satire it has been read and beloved for centuries.